As far as my memory go, I remember liking books and having a huge collection. When I moved to the country of Tulips, I had to move most of my books behind and that was quite painful. 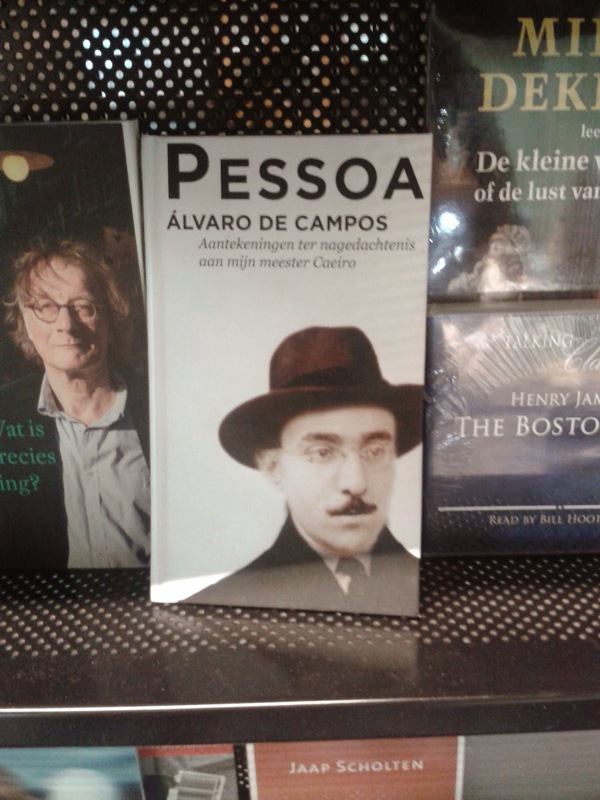 From all Portuguese writers/poets, my favorite is without doubts Fernando Pessoa. He was just a genius!! A bit crazy, but that's what makes him so exception, in my opinion. During one of these weekends, while browsing around in one of the most beautiful book shops I've ever been, I could not believe it when I spotted this little precious, lost in between so many other books.